A centuries old method of conservation is being revived in Qatar and other parts of the Islamic world. 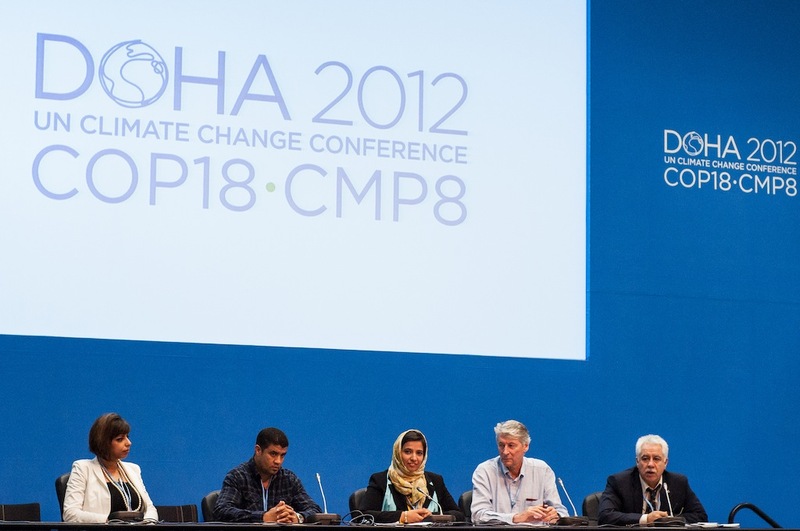 At the fifth Hikma session at COP18/CMP8, participants from countries such as Lebanon, Morocco, Bahrain and Egypt explained how the ancient principle of Hima was being reintroduced. The session was moderated by SPNL director general Assad Serhal, a Birdlife special envoy to the GCC countries. Hima is a community-based conservation practice that goes back 1400 years. Over time its systems have fallen out of use or been pushed aside by modern methods. Now they are seen as an effective way of involving communities in preserving the environment. In Qatar and the Gulf region Hima is being combined with modern elements to help protect animal life and land. The Arabic word Hima means ‘protected’ and refers to a concept of protecting the land from grazing and tree-cutting. It is a system that preserves particular areas for later grazing by leaving grass and trees untouched except under severe conditions such as drought. Khaula Mohannadi, a Bahraini conservationist, said modern systems of environmental protection in the region often failed to take into account local sensitivities and needs. She was critical of top-down management that failed to consult local communities, leading to local resentment and alienation. “Who decides what is to be protected, and from whom? A one-size-fits-all approach doesn’t work,” she said. This is where Hima comes in. Ms Mohannadi said it existed before Islam but was improved by the religion, which envisaged a system that treated the land, the people and animal life equitably. The Prophet Mohamed (Peace Be Upon Him) said that “Muslims should share . . . pasture, water and fire”, meaning that Hima should be put at the disposal of the public interest. He further said that, in Hima areas, plants and grass should be allowed to flourish “for the benefit of all animals”. The Hima Fund (www.himafund.org) was established in Qatar, under the patronage of Her Highness Sheikha Jawaher Bint Hamad Bin Sahim Al-Thani, to provide grants to conserve important bird habitats in the Middle East. At present 12 countries are eligible for funds. Other Himas exist in the traditional way in Saudi Arabia and Oman. The Society for the Protection of Nature in Lebanon (SPNL) took the lead in reviving Hima in the region. Dalia Al-Jawhary, of SPNL, described how the society collaborates with municipalities and has managed to get seven sites in south Lebanon designated as Himas. Under the modern system, groups of people from local areas are empowered to manage them. Their local knowledge ensures protection for marine areas, forests, sea turtle habitats, wetlands and soaring birds. Abderrahim Ouarghidi, a conservationist from Morocco, said a similar system was in use in North Africa, called by the Berber word Agdal. It was a forest management system that prohibited the extraction of valuable resources from land that sustained communities. It has been applied successfully in the High Atlas mountains of Marrakesh leading to better seed and fruit production and healthier plant life and grazing areas. The concept of accumulating “small wins” to make big gains was highlighted by John Grainger, from International Conservation Services in Dubai, who described efforts in Egyptian Sinai to preserve flora and fauna. His work in the St Katherine Protectorate, a 4,350sq km expanse that contains the country’s highest mountain Gebel Katarina, adapts the Jabaliya Bedouin conservation systems of Dakhl and Al Hilf. These were agreements by tribes to use pasture efficiently. Their application has led to better protection for the Sinai Baton Blue butterfly, possible the world’s smallest. Its only diet is the Sinai thyme. Both plant and insect live in a tiny patch in the St Katherine area and are extremely vulnerable. The involvement of local people in their protection has led to a “small win” for life on Earth. Abderrahin Ouarghidi spoke about Agdal which are Hima in northwest Africa. Agdal ensures equal access to resources and more than 100,000 Agdal exist in Morocco. When there are serious weather, rain or temperature changes, the community comes together to make decisions on when or how resources will be used or protected.